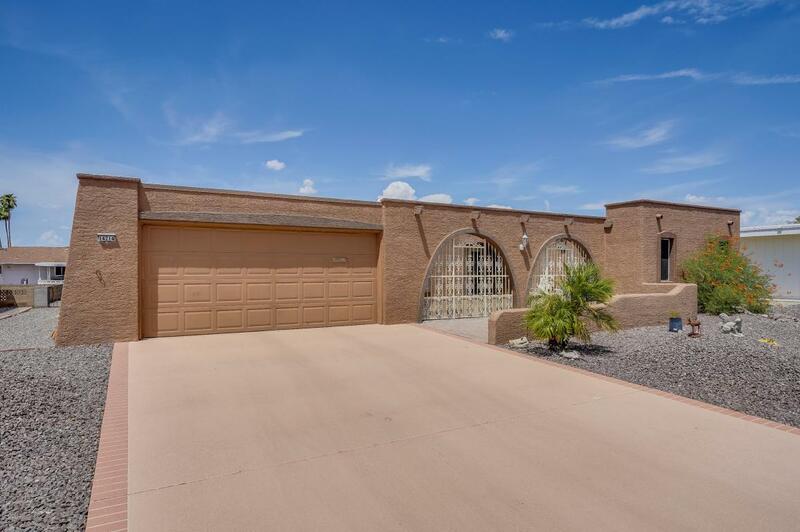 Enjoy the Sun City lifestyle & this move-in ready energy-efficient home. 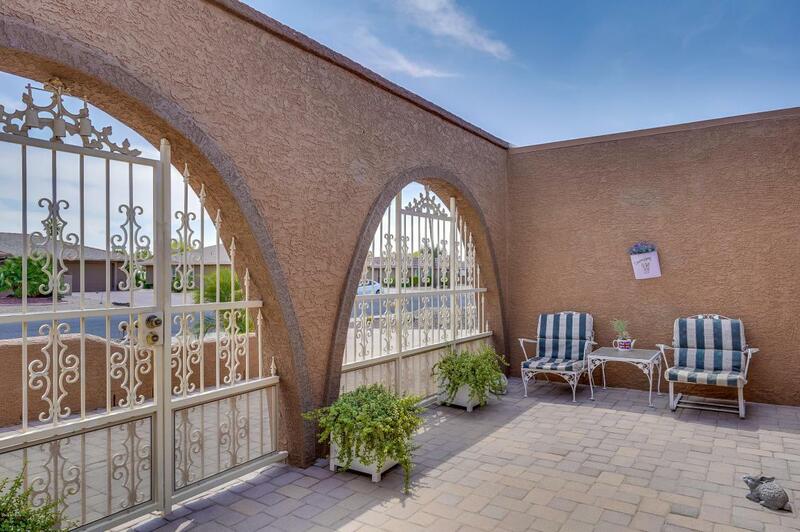 A charming gated front courtyard welcomes you, double doors invite you into the spacious formal living area. The updated kitchen features cinnamon maple cabinets, counters with waterfall edge, glass backsplash & a cozy breakfast nook. Imagine the possibilities in the extended bonus room, with new french doors. 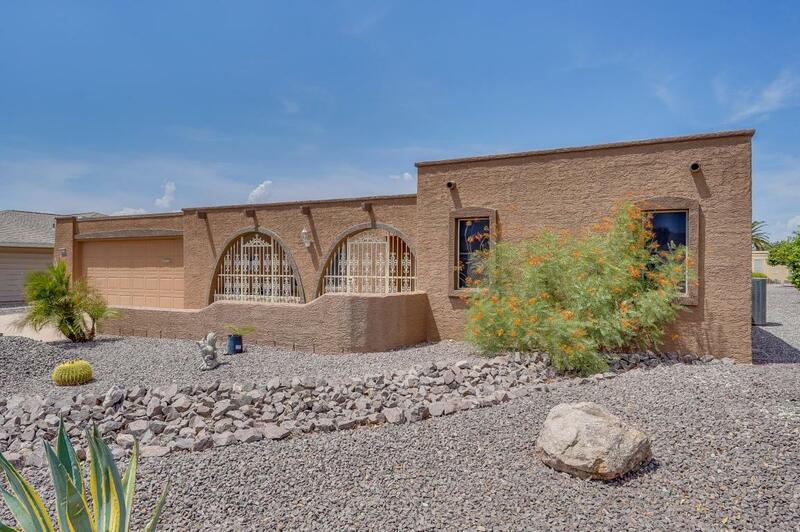 Exit onto the covered & extended patio spaces, enclosed with privacy wall. The oversized laundry/hobby room & garage with built-in cabinets round out this side of the home. Back through the living space & onward you'll find the generous master suite & 2nd bedroom. Both bathrooms feature newer vanities with solid surrounds. New wood-like laminate flooring throughout(2017).Recessed lighting added with LED bulbs. Dual pane windows throughout, newer 17 seer Trane AC units, roof redone(2017) & solar. 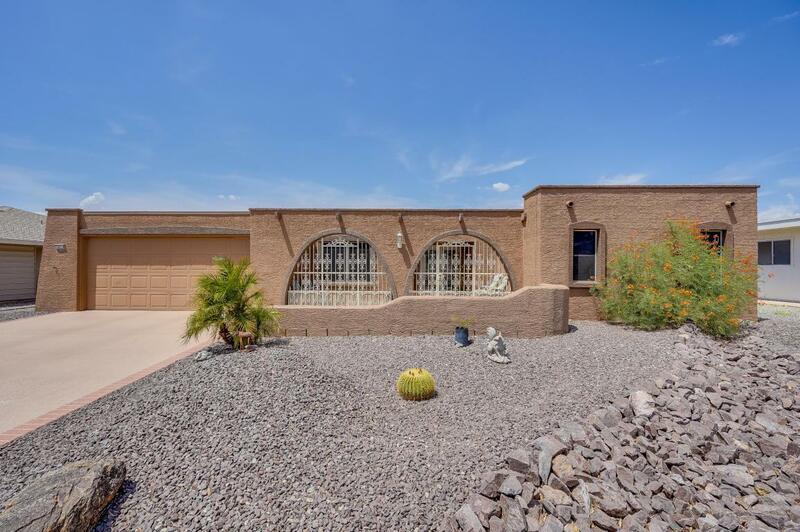 Near Palm Brook Golf Course/Country Club, SunDial Recreation Center(with indoor pools & larger workout facilities). 5min to 101 Freeway.